Multiple sclerosis (sometimes called just “MS”) is an incurable disorder of the nervous system that requires a holistic treatment regime. A combination of medication, physiotherapy, biokinetics and occupational therapy may be used successfully in the long-term management of this auto-immune condition. Multiple sclerosis is a chronic disorder that can be difficult to diagnose because it shares symptoms with a range of illnesses. A basket of investigative tests, such as MRIs, sensory-evoked potential tests and cerebrospinal fluid analysis are helpful in providing a proper diagnosis. Multiple sclerosis is one of 26 conditions included on South Africa’s Chronic Disease List (CDL), making it eligible for prescribed minimum benefits (PMBs). In other words, all medical aid schemes in South Africa are legally obliged to provide members who have multiple sclerosis with state-sanctioned benefits, irrespective of the members’ levels of medical aid cover. 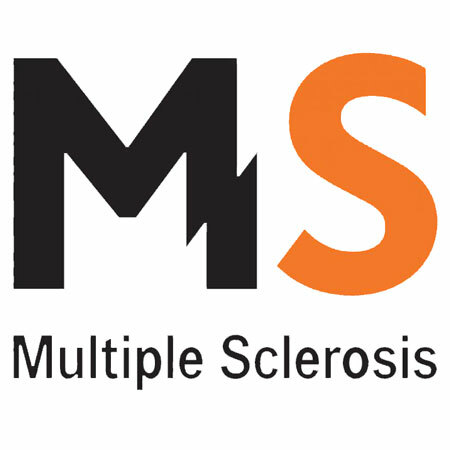 The PMBs for multiple sclerosis cover the cost of limited GP and specialist consultations, diagnostic tests and medications that appear on the medicine lists (or “formularies”) of the medical aid schemes. However, medical aid schemes may insist that members use designated service providers (DSPs) they identify. Also, only medicines that appear on the formulary associated with a particular plan, or series of plans, will be covered in full, subject to a generic reference price list. If a member chooses to use a non-DSP or network provider, or opts for out-of-formulary medications, co-payments will almost always be imposed. Allied healthcare services – physiotherapy, biokinetics and occupational therapy – aren’t covered by PMBs. Most high-level medical aid plans do, however, offer limited cover, payable from medical savings or day to day benefits, for these services. In all circumstances, members diagnosed with multiple sclerosis will have to register with a chronic disease management programme to qualify for cover and benefits. Pre-authorisation is often required for investigative scans and tests. Below we provide a more in-depth analysis of the cover that two medical aid schemes in South Africa – Discovery Health and Bonitas – provide for members with multiple sclerosis. Discovery Health, the largest medical aid scheme in South Africa, provides chronic benefits that far surpass the PMBs for multiple sclerosis. Members are required to register for chronic in order to qualify for chronic cover. A series of MRIs, each of which targets the brain or different parts of the spine, is covered where approved, together with two specialist consultations per annum. GP consultations are paid from the chronic illness benefit. The top-level Executive plan covers four visits to any GP per year, up to an agreed rate. Lower-tier plans also offer cover for visits within the treatment guidelines.The Executive plan pays up to 300% of the scheme rate for specialist consultations with any specialist healthcare provider. Mid to lower-tier plans also cover specialist consultations in full when a contracted provider is used. Members can request extra cover for approved chronic conditions, but this is subject to authorisation. For all plans, cover is provided for a specified set of medications, up to a set amount known as the Chronic Drug Amount (CDA). Covered medications range from corticosteroids, urinary anti-spasmodics and interferons to muscle relaxants and anti-depressants. Different Bonitas plans provide different levels of cover for members with multiple sclerosis. The entry-level BonCap option provides cover for essential care at network providers only, at 100% of the scheme rate, for members with multiple sclerosis. Chronic medicine benefits are subject to the BonCap medicine formulary and the medicines are fully covered at DSPs only. The use of a non-DSP will trigger a 40% co-payment. The top-tier BonComprehensive plan offers chronic medicine benefits up to R10,600 per beneficiary, or R21,150 per family, per annum. The comprehensive formulary applies up to the benefit limit. Thereafter a more restrictive formulary applies, covering PMBs at DSPs only. At IFC, we have the knowledge and expertise to point you to the medical aid scheme that offers the best medical aid cover for multiple sclerosis, based on what you can afford.